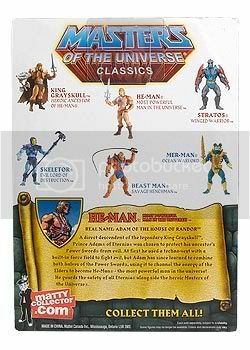 MattyCollector has updated its site with the order page for Masters Of The Universe He-Man. 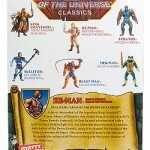 The He-Man Re-Issue will be available on November 16th on MattyCollector.com and the order page can be seen Here. Discuss on the Toyark Forums› Views: 4044 › Credit: da_last_2_walk of the Toyark Forums! He-Man is back one more again! 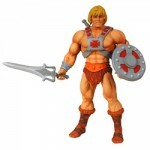 He-Man will come in a new package & with a few minor changes to the figure itself. HELL YEAH! Catch up time for me! I am a MOTUC virgin. I'm seriously debating this. I wish they re-released Greyskull. Sooo...are these pics of the new packaging and new figure? Good idea releasing this one, will be incentive for new fans to jump on collecting the line. This is all well and good but I wish they would let you pre-order it cause when the first one came out it was already sold out when I realized it was up on the site. 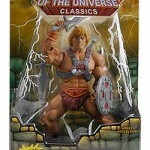 I'll need one extra He-Man, so I can get him out of his package. Pray that Matty will be gentle. Yes, these are the new pics. The big change with the packaging is the bubble now sports a call-out saying "The Original", which is hilariously ironic. The big change with the packaging is the bubble now sports a call-out saying "The Original", which is hilariously ironic. The original re-release of the remake. All of the reissues will have a small package change and ideally as few other changes as possible. 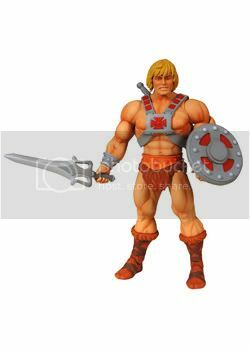 (in the case of He-Man we wanted to fix some errors such as too much red around the eyes and the fact that the shoulders were reversed. So technically this is a better re-tooled figure. Interesting. Awesome! I'm going to have to pick one up this time around. It comes out the day after my birthday, too. Hmm. Thanks for the info, guys. With this one being a little better than the first, I will definitely get this. Fantastic. the 16th is that the same day or day after Scareglow? 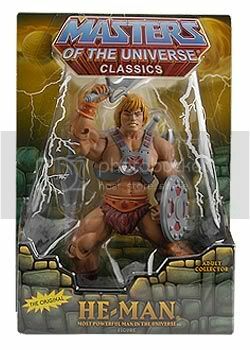 I don't have he-man but I honestly think I'd rather get ScareGlow than he-man. He-Man is over played I think. Been there done that sort of thing. What are the differences between this rerelease and the previous one besides packaging? NOOOOOOOOOOOOOOOOOOOOOOOOOOOOOOOOOOOO! .Will he ever be availible again?